– Olympic Style Sparring where they are encouraged to compete in tournaments. 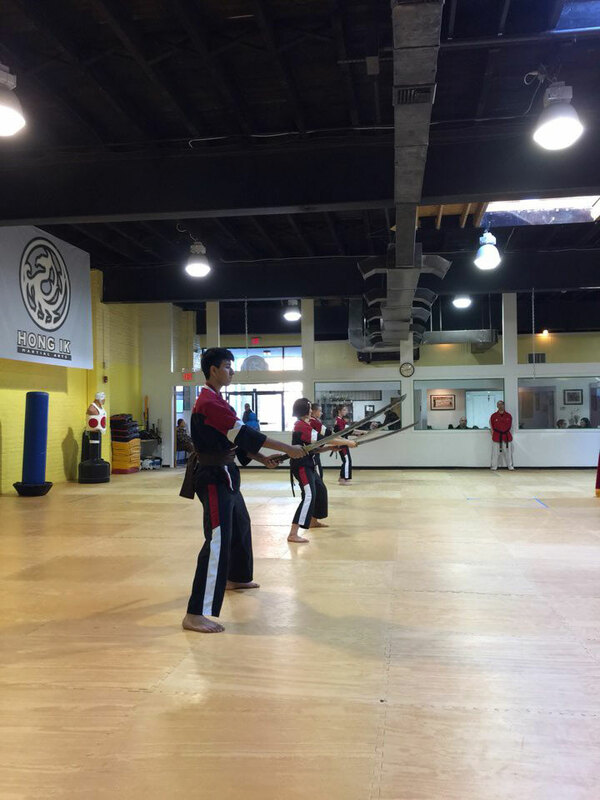 – Kum-Ye-Do, an ancient Korean Swordsmanship which improves concentration through in-depth weapon skills. – Demonstration Techniques which help to improve confidence in their technical skills. – Street Fighting which is a collection of practical techniques from various martial arts, this class is used to enhance the students ability to defend oneself if need be. The purpose of joining the MUSA program is to enhance each student’s physical abilities, and to grow their confidence through training in the various skills. A more important component of the MUSA program is the requirement for them to contribute back to their community. As MUSA, the students share what they have learned and give encouragement to others through demonstrations, helping with promotion tests, and encouraging other students in learning new skills. MUSA tests are held once a year in October. This is the time where current MUSA must demonstrate their skills in order to advance, or stay as their current rank for another year. This is also the time when students who are interested in joining are able to test to join the MUSA program. Because this is an optional course for advanced training, the students and candidates who choose this path are motivated, focused, and highly energetic. While not every student passes the challenging test requirements on their first attempt, they always give their best effort in both the promotion test and the trial test with a positive mindset. This year’s candidates demonstrated their focus, energy, and commitment during the testing. This year 2 new candidates were invited to join the program. Congratulations to all the candidates and existing MUSA on your hard work and dedication.